Skiing is our biggest passion we want to spread this feeling to you. One good way is to build a cozy and warm jacket so you don't freeze on the mountain. 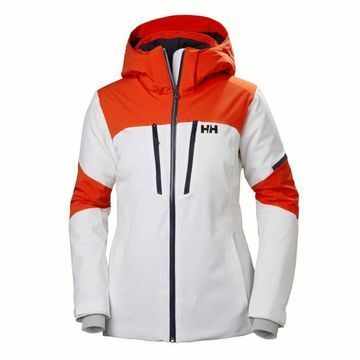 Our W Motionista Jacket is a classic Helly Hansen, high altitude, high speed in a pure performance insulated ski jacket for every aspiring skier. Whether it is on groomed slopes or you try your luck in the powder once and a while. You will improve your mobility on or of the slope with a waterproof, breathable Helly Tech Professional 4-way stretch fabric. Combined with Primaloft insulation and our innovative H2Flow system turbocharging mechanical venting this jacket will keep you dry, warm or cool depending on the outside conditions. All needed ski features are included such as wrist gaiters with thumb hole, inside stash pocket and ski pass pocket.